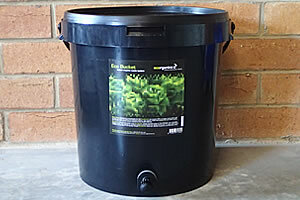 The 20 litre Eco Bucket is designed to sit inside your house in a suitable and convenient area. Each time you add waste, you add a small amount of Eco Bokashi, then reseal the lid. Repeat this process until the Eco Bucket is full. Once full, the fermented contents of the bucket can be transferred directly into the soil of your garden, where it will break down rapidly. In 2 to 3 weeks, the waste you have buried will then be mostly broken down into soil, providing a usable nutrient rich end-product and improving the soils nutrients, microbes and enzymes. As the Eco Bucket is airtight, so there will be no insect problems, and the fermentation process prevents foul odour. The Eco Bucket - Basic Black Kit includes the 1 x 20 Litre Eco Bucket - Basic Black Round, 1.5 Litre Eco Bokashi, Masher, Cup & Instructions. 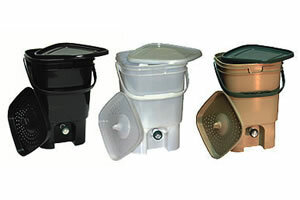 The Eco Bucket - Basic Black Round plus the additional accessories provides a complete system to begin the process of fermenting food waste. 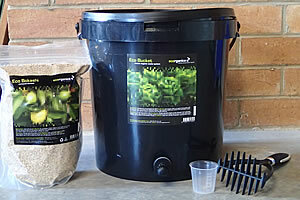 The Eco Bucket Kit includes the 1 x 20 Litre Eco Bucket, 1.5 Litre Eco Bokashi, Masher, Cup & Instructions. 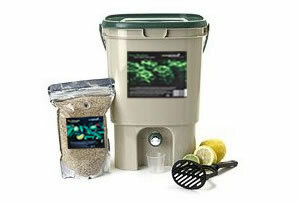 The Eco Bucket plus the additional accessories provides a complete system to begin the process of fermenting food waste. The Eco Bokashi used in our organic waste recycling system is composed of crushed Australian grain (usually barley, wheat and/or rice mixture) fermented with natural beneficial microbes, minerals, and natural sugars. This material has a moderate nutrient value on its own, but is also teeming with millions of beneficial microbes which go straight to work when in contact with organic material such as the food waste in the Eco Bucket, or the organic matter within the soil. These microbes work in an oxygen free environment so there is no heat or foul odours produced. Every year, Australia dumps thousands of tonnes of dog and cat waste into landfill - and the rest of it goes into gutters and drains and into our waterways. Like all organic waste, animal droppings can be used as a resource as they contain nutrients that can be valuable to soils and gardens when recycled. Shift is a specific blend formulated for recycling animal waste into a resource for your garden that is made of natural beneficial microbes, minerals and absorbent materials. All the wastes organic material - including the nutrients are returned to the soil, minimising landfill, odour and insect infestation. The natural beneficial microbes in Shift will breakdown the structure of the waste quickly and effectively as well as out-competing any disease carrying germs minimising their growth within the soil. 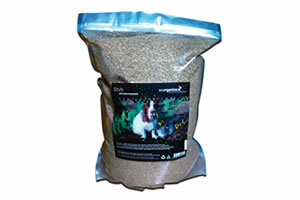 Eco Plant Booster contains natural beneficial microbes. It is excellent for use in and around your garden to enhance plant growth and assist in increasing plant yields. The natural beneficial microbes assist plants in the active uptake of available water and nutrients. 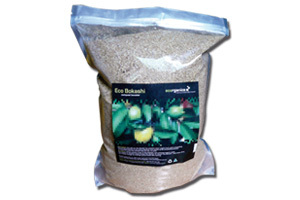 Introduction of the Eco Plant Booster into your garden not only increases the soils microbial activity it also contains a mild fully natural and biodegradable fertilizer. 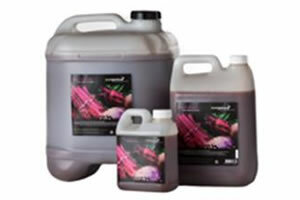 The Eco Plant Booster also out-competes disease-producing microorganisms that may infect plants reducing their ability to multiply and therefore supporting plant growth and health. Eco Culture is a totally natural mixture of beneficial microbes (probiotics) that contains Photosynthetic, and Lactic acid bacteria as well as yeasts. Natural beneficial microbes are used to improve the microbial balance of complex living systems by promoting the growth of plants and assisting in the production of high yield crops which after treatment become drought and disease resistant. Please Note: Eco Culture requires further processing to activate the culture before use.